February 23, 2015—While perfect enforcement of law sounds great, it is true that governments typically do not reform themselves. 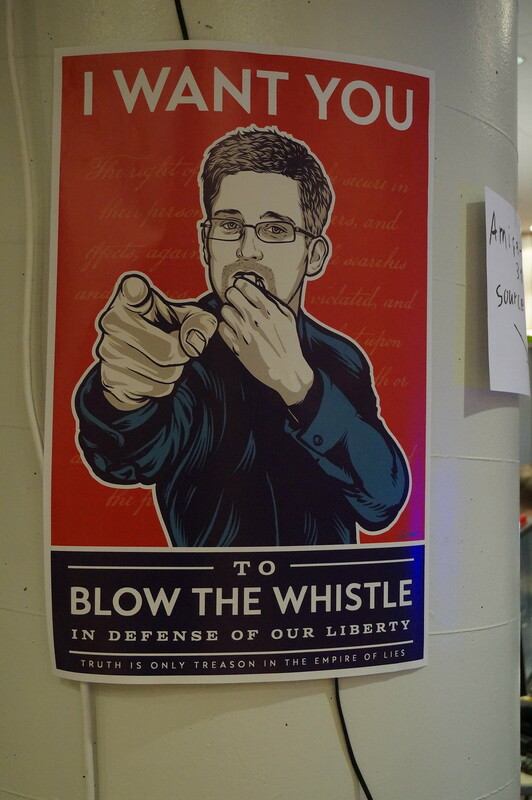 It requires activism and organizing to preserve our rights, according to NSA Whistleblower Edward Snowden. Discussing a book he read recently called “Data and Goliath,” by Bruce Schneier, Snowden explained that while completely eradicating crime is a compelling goal, it may not be the best path to pursue. “When we look back on history, the progress of Western civilization and human rights is actually founded on the violation of law. America was of course born out of a violent revolution that was an outrageous treason against the crown and established order of the day. History shows that the righting of historical wrongs is often born from acts of unrepentant criminality. Slavery. The protection of persecuted Jews. “But even on less extremist topics, we can find similar examples. How about the prohibition of alcohol? Gay marriage? Marijuana? “Where would we be today if the government, enjoying powers of perfect surveillance and enforcement, had—entirely within the law—rounded up, imprisoned, and shamed all of these lawbreakers? Snowden proceeds to depict governments today as power hungry machines eager to ignore their citizens’ problems and instead control their citizens’ behavior. 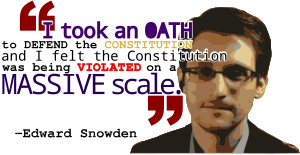 To combat this, Snowden recommends using science as a tool to remove any interference in our elected leaders enforcement our rights and liberties. “You can see the beginnings of this dynamic today in the statements of government officials complaining about the adoption of encryption by major technology providers. The idea here isn’t to fling ourselves into anarchy and do away with government, but to remind the government that there must always be a balance of power between the governing and the governed, and that as the progress of science increasingly empowers communities and individuals, there will be more and more areas of our lives where—if government insists on behaving poorly and with a callous disregard for the citizen—we can find ways to reduce or remove their powers on a new—and permanent—basis. “Our rights are not granted by governments. They are inherent to our nature. But it’s entirely the opposite for governments: their privileges are precisely equal to only those which we suffer them to enjoy. “We haven’t had to think about that much in the last few decades because quality of life has been increasing across almost all measures in a significant way, and that has led to a comfortable complacency. But here and there throughout history, we’ll occasionally come across these periods where governments think more about what they ‘can’ do rather than what they ‘should’ do, and what is lawful will become increasingly distinct from what is moral.